Posted on 4/8/2019 by Claire Stephenson. 0 Comments. Not only is Greg a highly-rated MMC instructor and SAP Plant Maintenance guru, but he’s also just a stand-up guy. Who doesn’t want the nice guy to win? Well, luckily within the MMC community, Greg has absolutely won. He has reached peak success with his courses and has provided hours of top-notch training for MMC students around the world. Greg has a total of 9 courses, a 4.3 average rating and 233 students. Greg has always had a knack for teaching. He discovered his passion for teaching when he was tutoring fellow classmates in college (in exchange for beer, of course). From there, Greg worked with SAP in a myriad of settings. He has led SAP seminars, worked in the consulting world and has taught and coached in various settings. Greg published his first course with Michael Management about a year ago and hasn’t stopped creating courses since! Greg’s Plant Maintenance courses range from beginning end-user courses to advanced level configuration courses. Greg’s courses truly teach students how to use SAP efficiently. He stresses that users need to understand how to control the settings of SAP. Learning navigation and search skills are vital for success within SAP. Greg’s courses do a fantastic job of simplifying SAP topics that often are viewed as being overly complicated. Greg’s courses seek to provide clear solutions for SAP Plant Maintenance students, users, and professionals. He acknowledges that the cause of Plant Maintenance issues can arise from a lack of software skills, frustrated users and consequently, additional (avoidable) costs. Greg’s solution to these issues is to fill in the gaps with a professional assessment and targeted SAP education. Moreover, he wants to encourage SAP Plant Maintenance users and professionals to strive for software optimization. By reviewing company practices and providing ongoing support for employees, companies and individuals can avoid unnecessary issues and costs. 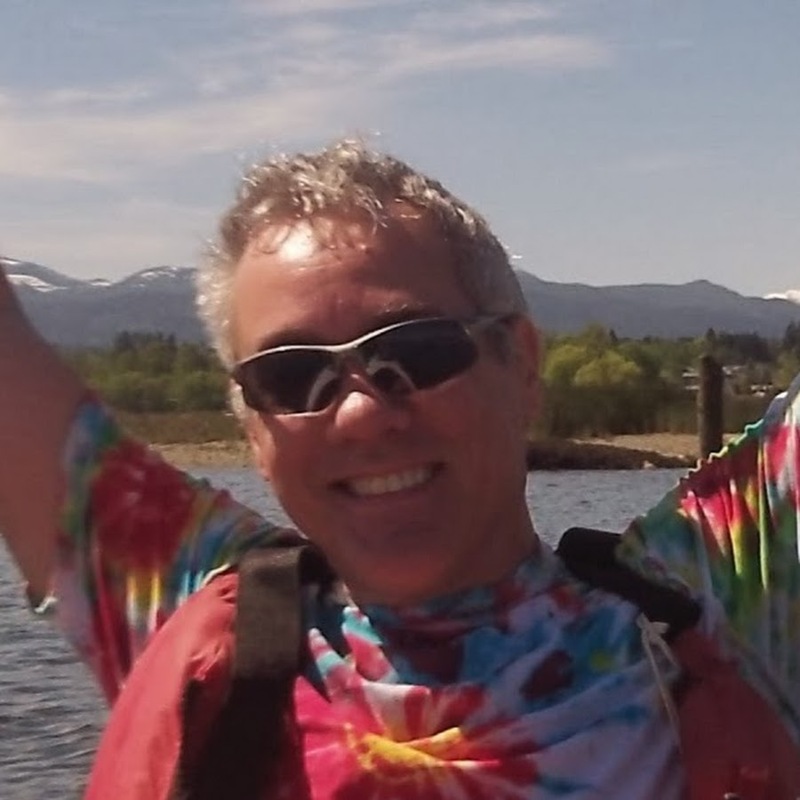 One of Greg’s strongest attributes as an instructor is that he has immense amounts of empathy for his students. He expressed that watching students learn and pick up SAP concepts makes his heart swell. Greg is truly making SAP more approachable one student at a time. He finds teachable moments in his everyday life, even on airplanes! While sitting on a plane Greg struck up a conversation with the person next to him and naturally they started chit-chatting about SAP. Greg’s neighbor told him how much he disliked SAP and Greg took it upon himself to troubleshoot his issue. He got to the bottom of the issue and even taught him how to navigate SAP in an easier way going forward. As Greg so eloquently puts it, ‘there’s the easy way and the hard way to use SAP.’ Greg’s students are lucky to have an instructor who makes the material approachable, fun and easy to understand. Greg explains his approach to SAP training through the lens of the spiral teaching method: a theory that is based on the idea that students learn more about a topic each time it is repeated or reviewed. In his own classes, Greg strives to show the easy and clear way to get the job done and then build on that. His concepts get more and more complex, and as his students grasp bigger concepts, he expands his spiral to encompass more. He stresses that is so much easier to teach someone the basics first, and once they’ve mastered the foundation with repetition, one can build on to that. Watch our interview below to learn more about Greg’s success, tips for new instructors and advice for SAP users and professionals. Greg Olynyk’s interview is full of useful information for users and instructors alike, and I highly recommend watching the whole interview. However, for those pressed for time, here are 10 highlights of Greg’s advice for new MMC instructors. Start with asking, ‘what is the biggest problem that people or companies have with SAP’? That’s a great place to start. What is the problem? What is the cause of that problem? What is the solution? Making people’s problems go away is great for marketing. If you can make problems disappear, you will have satisfied customers. Short video walkthroughs in SAP are vital. They say a picture is worth a thousand words, a video is worth a million words. Having a video walkthrough in SAP is important. No one wants to read through a 2,000-word manual to learn SAP. Video walkthroughs make learning much easier. Don’t try to put too much into one course, people prefer short sessions. Focus on why students need to take your course. Define the problem you’re answering, explain the skills they will have at the end of the course & present why those skills are important. Think about the bare minimum that someone needs to be successful. Don’t go on long tangents. Go back and add a bit of extra if you need to but keep your course clear and simple. Make a backdrop with towels to keep away echoes. Getting a good microphone is the most important step. You can get a good microphone for under $200. Create a quiz before and after to give a student a sense of how much they’ve learned. You shouldn’t quiz on memorization of SAP facts. Teach users how to search so they don’t have to memorize SAP codes. Course evaluations help you fill in gaps in your future courses, and often motivate you to want to create more courses. Greg’s interview provides great tips for new instructors as well as for his students. 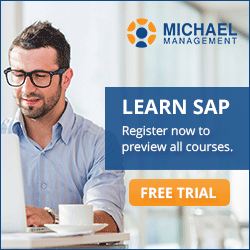 His courses provide a fantastic overview of Plant Maintenance and are absolutely an asset to the Michael Management roster of SAP courses. Make sure to check them out and leave a review (I know Greg will be very excited to read them). SAP professionals, end-users and new instructors can all benefit from his knowledge and attitude towards learning. Interested in contributing to SAP education yourself? We are ALWAYS looking for talented SAP professionals to create online courses. Apply to become an instructor! Claire Stephenson is the Course Coordinator for Michael Management. She recruits new SAP instructors in addition to fostering relationships and working with existing MMC instructors. She has years of experience in recruiting and project management within the field of education. Claire is passionate about connecting people with opportunities and facilitating learning initiatives.